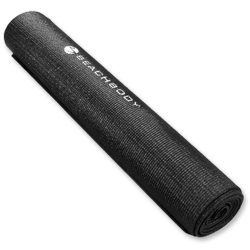 This thick, textured sticky mat will comfortably stabilize your yoga practice so you can focus on proper alignment and balance. The Yoga Monster mat allows us to provide the finest yoga sticky mat at the best price. Extra thick and soft, this mat enables comfortable yoga practice by providing cushioning for your knees, ankles, and other sensitive areas.